(AUSTIN) — Members of the Senate Finance committee debated the best way to meet public demand for a secure international border with Mexico at a hearing Monday. 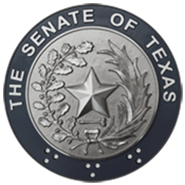 The discussion arose out of testimony relating to funding for the Texas Department of Public Safety, which would receive more than $800 million for border security in the proposed Senate budget. Some Senators were troubled by the vagueness of the goals and missions surrounding border security, and others worried that spending so much money on an issue without clear performance measures made it too difficult to make sure tax dollars were being spent efficiently. Committee Chair Jane Nelson told members that the proposed funding increases were left non-specific to give the Senate more flexibility to decide the best way to achieve a secure border. "I earmarked $815 million to address border security," she said. "Now however this committee decides to do that, we can make it happen." Border security has been a top priority for state leadership this session, with Governor Greg Abbott designating it an emergency legislative issue. Lt. Governor Dan Patrick also highlighted border security this session and promised a comprehensive plan to increase it through additional DPS manpower and resources along the border. But some Senators at Monday's Finance Committee hearing wondered how border security is actually defined. "What is the target at which we're shooting?," asked Austin Senator Kirk Watson. "We ought to have a clear statement of mission that we're seeking to achieve." The Senate proposed budget contained a tentative definition of border security; essentially, trying to stop crime in the area on and around the border, but DPS Executive Director Steve McCraw defined it for the committee as the ability to detect and interdict all smuggling incidents between the ports of entry. He recognized, however, that it's up to lawmakers to give direction on what to do. "Ultimately border security is what you tell us it is," said McCraw. Definitions aside, McCraw elaborated on how to stop crime from drug cartels, transnational gangs and human traffickers from spilling over the border into Texas. One way to do that was already demonstrated in the response to the unprecedented number of illegal border crossings that occurred in June of last year. Under direction from then-Governor Perry, a surge in DPS personnel conducted joint operations with local and federal agencies to patrol land, air and river areas. This led to a dramatic decrease in crossings, which McCraw said was no surprise. "Although it works, it's highly inefficient," he said. He said that leveraging existing resources is an efficient way to increase border security efforts without increasing costs. McCraw cited as an example a proposal to increase the DPS trooper's workday to ten hours, saying that would give the state the equivalent of $171 million worth of additional manpower at no additional cost. Another way to efficiently patrol the border was to leverage technology. He advocated expanding Operation Drawbridge, a program that uses modified game cameras along the border to catch illegal crossings. It's cheaper, easier and effective to use these cameras, which cost as little as $300 apiece according to DPS, to monitor the border, said McCraw. "You can't do it with bodies," he said. "There's just no way you can hire that many people." The Senate will reconvene Tuesday, February 24 at 11 a.m.